Coronal mass ejection | Strike of Lightning! 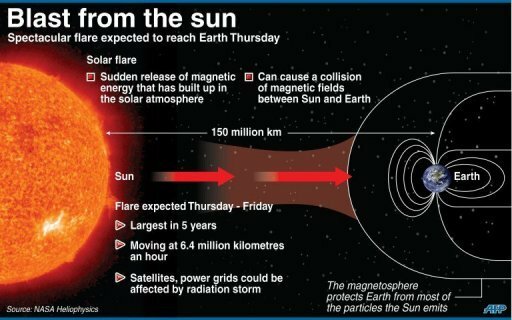 A long strand of solar material was suspended in the atmosphere, which erupted into space. The coronal mass ejection circulated to over 900 kilometers per second. The mass did not travel directly toward Earth, yet made contact with the magnetic field, or magnetosphere, causing auroras that were to be seen on the night of September 3. The image includes an image of the earth to show the size of the coronal mass compared to the size of the ‘blue planet’.